I’ve always been a fan of North Korean documentaries, having watched many on the Discovery channel and the National Geographic channel. So to finding this graphic novel on one of the top 50 graphic comics to buy and seeing it on sale on Amazon, I just couldn’t pass up the chance to buy it. When my copy arrived, I quickly devoured the comic with enthusiasm and interest. After months of waiting, my copy of Pyongyang: A Jouney in North Korea had arrived! Comparing the documentaries that I’ve watched and this graphic novel, the similarities aren’t too far off. Both expose the total indoctrination and the full extent of the cult of personality that is deeply embedded within North Korean society. Likewise, the comic also points out social stratification within the society, where despite the rigidity of socialism, vestiges of capitalism are evident and are most likely embedded within the upper levels of society. Reading Pyongyang brought me back to days when I was busy reading everything about History, the Cold War and my usual forays on Wikipedia. It was a good experience that helped me understand this part of the world better. The artist, Guy, has no qualms in drawing this part of the world for what it truly is, oftentimes providing an honest opinion of his beliefs and his own comments on his day-to-day experience in this misunderstood and impoverished capital. 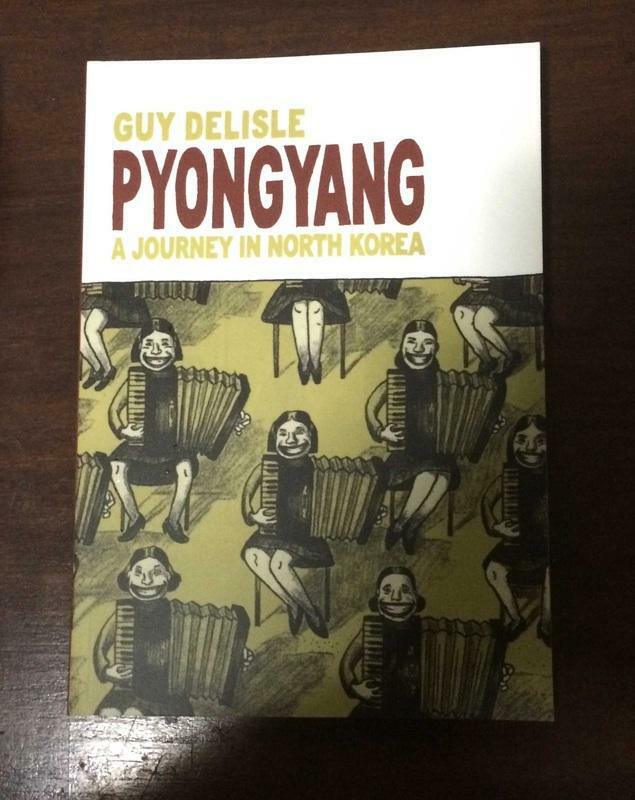 After having read Pyongyang, this was a refreshing addition to my growing comic book collection. I love the satire, the simple art but also the rich dialogue. Editor’s note: This review was originally posted on Manila Traveler and Bookworm.